Dynamic Instance Activation (DIA) is a newly developed data-driven classification algorithm. It was designed to minimise the negative impact in situations of data incompleteness and inconsistency. To achieve this, the proposed methodology attempts to maximise the accuracy of the classification process in a way that does not compromise the overall computational effort. 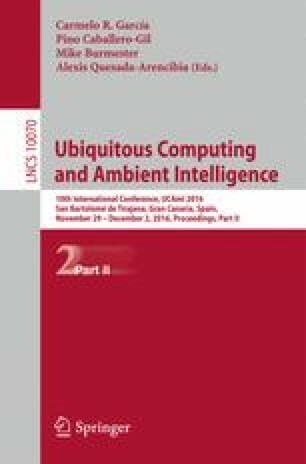 In this research, DIA was evaluated in the context of Human Activity Recognition (HAR) for Smart Environments, using datasets consisting of binary sensor data and their associated class labels (activities). This scenario was selected as an ideal case study to illustrate the usefulness of DIA considering the wide range of domains in which HAR is applied. It was also considered adequate given the simplicity of the data involved in the process, which allows using relatively simple similarity functions, therefore placing the main focus on DIA’s performance. In this context, DIA was compared with other state-of-the-art classifiers, delivering promising results in terms of percentage of activities correctly identified over the total. It is important to note that these results could be further improved if other similarity functions or data representation schemes were selected. Invest Northern Ireland partially supported this project under the Competence Centre Program Grant RD0513853 – Connected Health Innovation Centre.